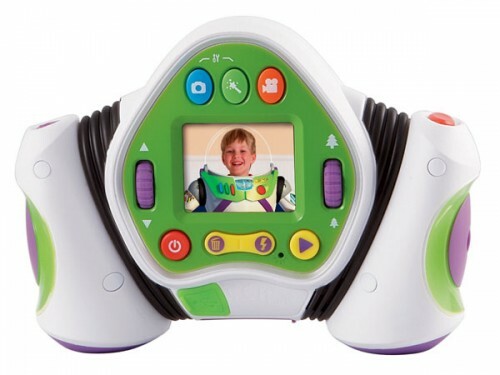 Amazon UK are selling the new VTech Toy Story 3 Buzz Lightyear Digital Camera for £39 (with case, or less without) – it’s a 2 megapixel digital camera made for kids, and features a 2x digital zoom, TV and PC connection, ultra tough casing, built in xenon flash, stores up to 500 photos on the camera with 256 MB of storage, and has SD card slot for memory expansion. It takes 4 x AA batteries (batteries not included), has a 1.8-inch TFT colour LCD screen, and can record up to 8 minutes of video (at 320×240, 15fps with mono sound). There’s also a “VTech Disney Princess Camera” version available in pink. 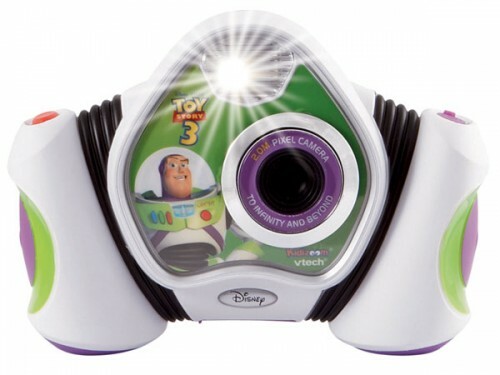 “Take photos and videos with Buzz, Woody and all your Toy Story friends on this 3 in 1 camera! 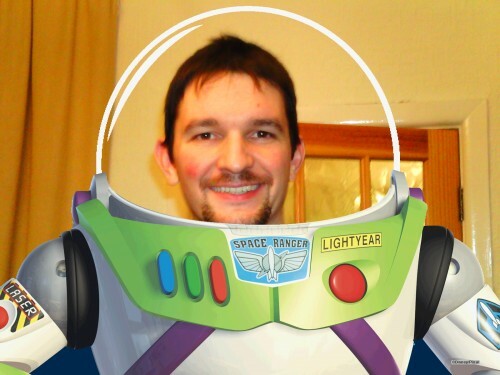 Store up to 500 photos and have fun editing the images and adding Toy Story themed frames, stamps and effects. 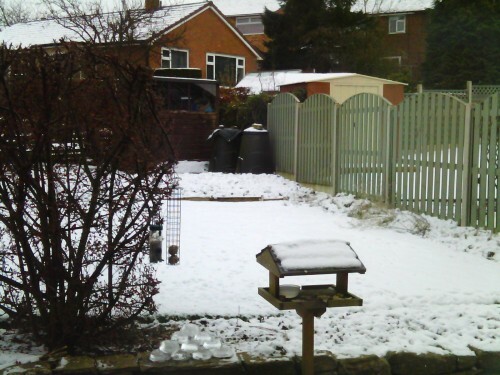 Features easy to use controls, viewfinder, flash and a colour LCD screen, 2x digital zoom and built-in photo editor. Expandable memory with SD card (sold separately). Includes carry strap, CD-Rom and cables to link to PC and TV.” 3 in 1 refers to Photo mode, Video mode, and built in Photo editor. Camera modes: Photo mode (Flash options, Auto for 2.5-3.5 feet, Flash + for 3.5-8 feet, Flash – for 1.5-2 feet, Flash off), digital zoom, the left wheel lets you choose the overlay image, Video mode, Photo editor, Setup menu options: Memory manager (Internal / SD), volume, shutter sound (Laser / Camera), Flickering (50/60hz), Language (Deutsch, English, Espanol, Francais, Nederlands). To enter the setup menu, you hold both the photo button and photo editor buttons together. The camera comes with a 1 year warranty. Specifications / Features: 2 megapixel sensor, 2x digital zoom, 1.8″ screen, Video recording (320×240), Auto flash, 256mb built in memory (and SD card slot) takes 500+ photos / upto 10 minutes of video (limited to 5 min per file – sample video here), built in stamps and borders with Toy Story friends, Ob-board photo editor, and slideshow feature, photo editing software and USB connection canle included, AV out. Box Contents: VTech® Buzz Lightyear Digital Camera, PC installation CD, A/V cable (green), USB cable (green), user’s manual, wrist strap (also green). You can find more information including the manual on the VTech website. Connect the USB cable to the camera, and your computer. Browse My Computer to: VTech 1155, go into Photo for the Photos, and Video for the videos – copy them to your PC.